The ultimate brand new Beach House! Stunning modern design & quality construction by Bomar Builders! For those seeking extraordinary the 3 levels & many rooms capture amazing direct ocean & dramatic lighthouse vistas.Banks of floor to ceiling windows & expansive loggias for outdoor enjoyment. 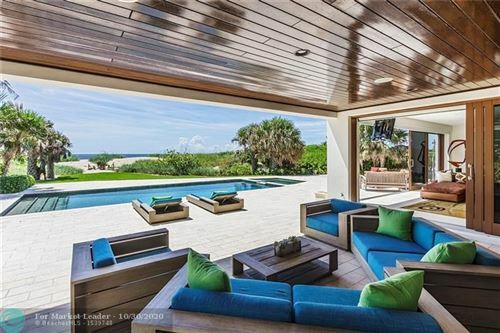 Pool on oceanfront level & dramatic oversized spa with infinity edge on second level. Floating staircase & suspended dining room are just two features that optimize light & views.Estimated completion November 2018. 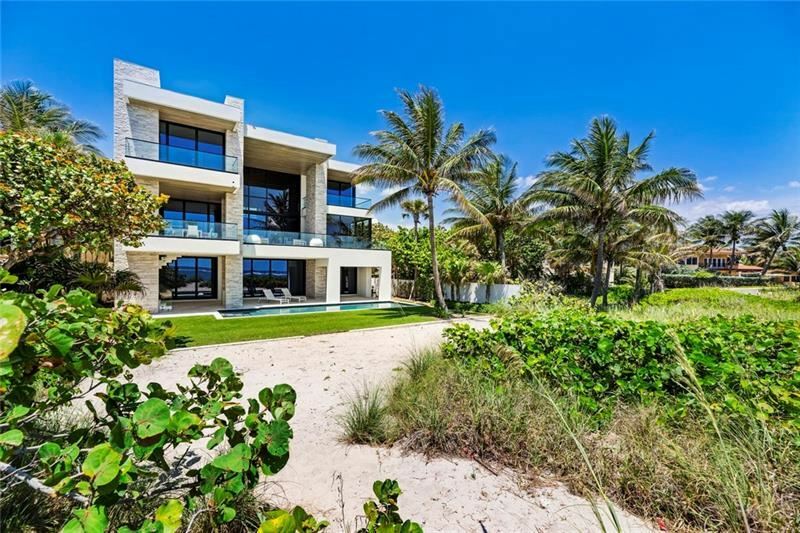 Gated Direct Oceanfront Estate perfectly positioned an an over-sized 16,525 +/- Square Foot lot in the quiet seaside community of Hillsborough Shores. 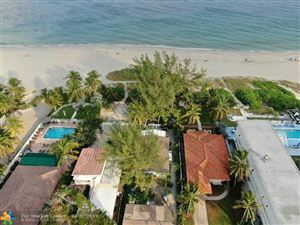 SPECTACULAR DESIGNED HOME SITUATED ON AN OVER SIZED OCEAN FRONT LOT IN ONE OF THE MOST DESIRED NEIGHBORHOODS/COMMUNITY. 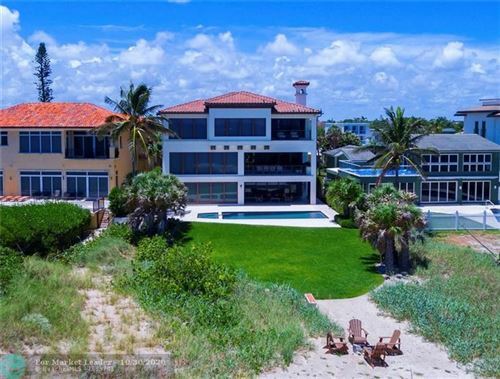 THIS 3 LEVEL HOME HAS BEEN DESIGNED FOR PERFECT LUXURIOUS OCEANFRONT LIVING THAT OFFERS MAGNIFICENT VIEWS OF THE OCEAN AND LIGHTHOUSE FROM ALL ROOMS AND THREE VERY LARGE TERRACES. FIVE SPACIOUS BEDROOMS, 4 BATHS, LARGE ENTERTAINMENT/RECREATION AREA, OPEN KITCHEN WITH STAINLESS STEEL APPLIANCES, ELEVATOR, GATED ENTRY, IMPACT WINDOWS, SUMMER KITCHEN AREA, SOUND AND TV SYSTEM THROUGHOUT HOME, LARGE POOL AREA AND MORE!! PERFECT FOR ENTERTAINING AND ENJOYING PEACEFUL OCEAN FRONT LIVING. 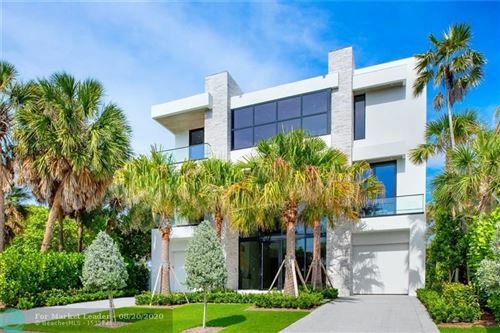 Brand new high quality Modern architecture & wide open intracoastal views on Lake Santa Barbara! 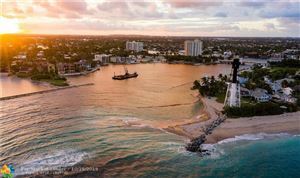 Surrounded by other new multi million dollar residences in quiet residential community close to shopping & dining on Atlantic Blvd.Enjoy stunning views,daily sunrises/sunsets from 3 levels of fresh, innovative architecture & design. Open great room & dining room wrap around the Chef's kitchen & breakfast area. Summer kitchen & expansive loggia to resort style pool. Elevator access & dramatic floating staircase. Level 2 offers Club Room & 3 bedroom suites. Ultra luxurious Master Suite with private balcony, spa bath, huge closets & private lounge/gym/den area. Custom pool design & concrete dock for multiple boats, jet skis, etc. One of the very best values in new construction on the intracoastal! BOATER'S DREAM! 95' of DOCKAGE with DIRECT OCEAN ACCESS. NO BRIDGES. Space for 80ft yacht & separate boat lift. Private Beach Access. Two-story estate surrounded by Banyan trees, lush landscaping that overlooks historic Hillsboro Lighthouse & ocean views. Open floor plan w/ formal dining area, sunken living room, & gourmet kitchen w/ granite countertops. Upstairs master suite includes luxurious master bath, sitting area, personal gym, private balcony. Large outdoor area w/ heated pool, tiki bar & hot tub. 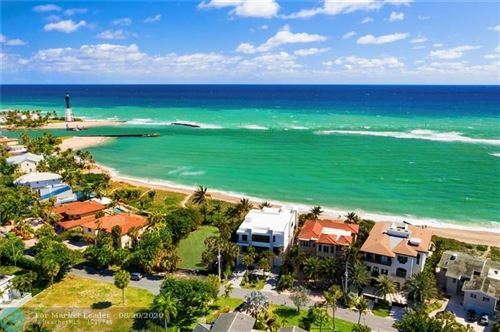 New luxurious construction on one of the bigger corner lots on the intracoastal in Pompano Beach. This elegant waterfront home offers a captivating key west style look with over 270 feet of dock. Make this slice of paradise your next home. See broker remarks. 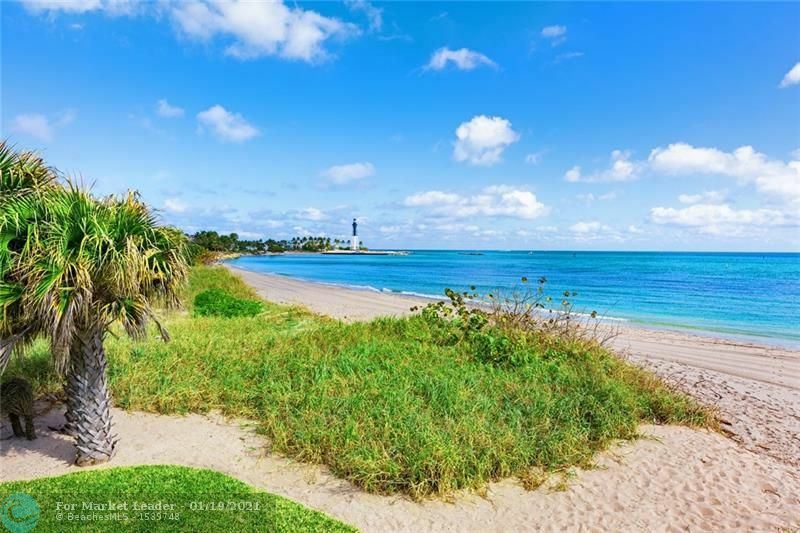 One of the Only lots in Pompano Beach with Direct ocean access. 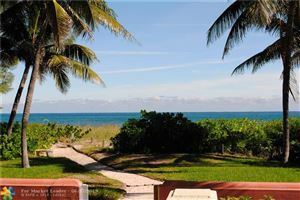 This beach house is updated with new paint upgraded kitchen with stainless steel appliances. Theirs tile & solid wood floors throughout the house. Impact window and captivating backyard view in to the ocean. Zoned RMH-20 This could also be developed in to a multi family residence. Make this slice of paradise your next home. 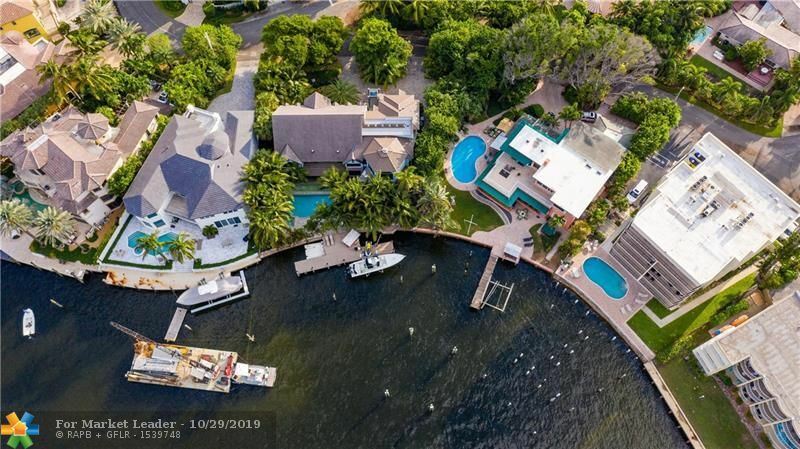 Truly one of a kind newer Custom Waterfront Masterpiece with European flair on a private peninsula with 300 feet of water frontage on a 150' wide canal just minutes to Ft Lauderdale or Pompano's most prominent east side developments! The property has a Marina type environment with dockage for a large yacht or several small boats in a protected lagoon. Stunning 6 bedroom, 5 baths and 3 car garage home on an over sized property with 14,726 sf of land. Gorgeous, heated salt water tropical pool (15' x 37') with ceramic tile covering the entire pool surface with waterfalls in the pool & a raised spa. Home and pool on pilings with 5,794 sq. ft. of air-conditioned living area with dramatic foyer area. Large master bedroom and bath, stairs and railings crafted by an artisan separated. A must see!! New British West Indies inspired deepwater estate boasting 80+/- feet of water frontage on the Capri Canal in the enclave of Pompano Beach. Double door entry expands to luminous, glassed encased rooms which view the waterway & pool. Smart home automation throughout the entire property including the garages. Classically-Chic Chef's Kitchen, with sub-zero & wolf appliance packages, including a gas range with natural gas hookup. Luxurious master quarters feature spa-like baths, his/hers wardrobes, his/hers water closets, with a makeup vanity & private waterfront balcony. Luxuriate in outdoor entertaining at the resort style pool with a covered lanai, an outdoor summer kitchen, firepit, and a cabana bath with an outdoor shower. Composite made yacht dock with cleats, bumpers, & 60 Amp pedestal. Immaculate 4-level townhome with stunning ocean views & private pool. 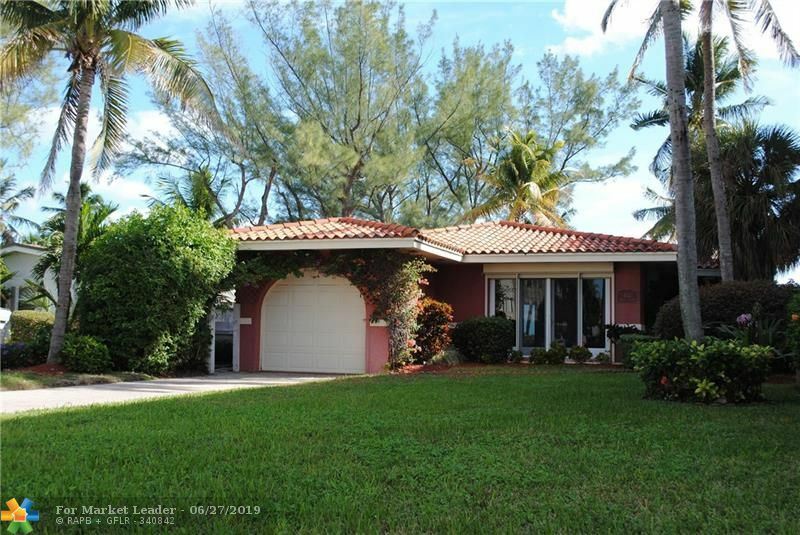 Enjoy this completely remodeled 3 bedroom home worry free, new hurricane impact windows & doors, 3 new AC units, new private elevator, upgraded appliances & furnishings. This home is being sold fully furnished and is move-in ready. All 3 bedrooms have ensuite upgraded bathrooms. The master bedroom has his & her walk-in closets, his & her bathrooms, large sitting area and a private ocean view balcony. Completely remodeled ocean view roof top terrace is ideal for entertaining or relaxing. 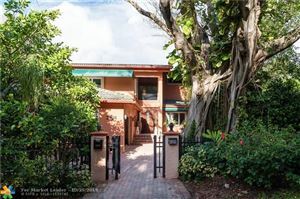 Situated in a gated community east of A1A with private beach access this home also has additional upgraded security system that includes entryway cameras & alarms. Conveniently located between Boca Raton & Fort Lauderdale. Easy to Show. Magnificent Tuscan estate! Built in 2007, this light and bright 5 br 5/2 baths home is sure to impress. All bedrooms have in-suite baths* Bonus club room/office/elevator/fabulous kitchen with island/snack counter/butlers pantry opens to fam rm and breakfast area/ all impact materials/4 balconies/2 fireplaces.The chefs stove,water heater, outside grill,and pool heater and generator are run by natural gas. Gorgeous pool with built in hot tub. Summer kitchen. This beautiful home is only 500 feet from the intracoastal. Construction underway, delivery in December 2018. Don't miss this opportunity, we just released one of our last developer units! An intimate collection of 68 ultra-luxury residences sitting on 200 linear feet of Pure Ocean. This Barona unit offers Direct ocean views with private elevator access leading into a dramatic double-door entry with floor-to-ceiling glass windows and sliders. Resort-style amenities include gym, pool, spa, sauna, and steam room. Generous wrap-around balcony with breathtaking views! Only 35% down, 1st year maintenance free! Construction underway, delivery towards the end of 2018. An intimate collection of 68 ultra-luxury residences sitting on 200 linear feet of Pure Ocean. This Barona unit offers Direct ocean views with private elevator access leading into a dramatic double-door entry with floor-to-ceiling glass windows and sliders. Resort-style amenities include gym, pool, spa, sauna, and steam room. Generous wrap-around balcony with breathtaking views! Only 35% down, 1st year maintenance free!